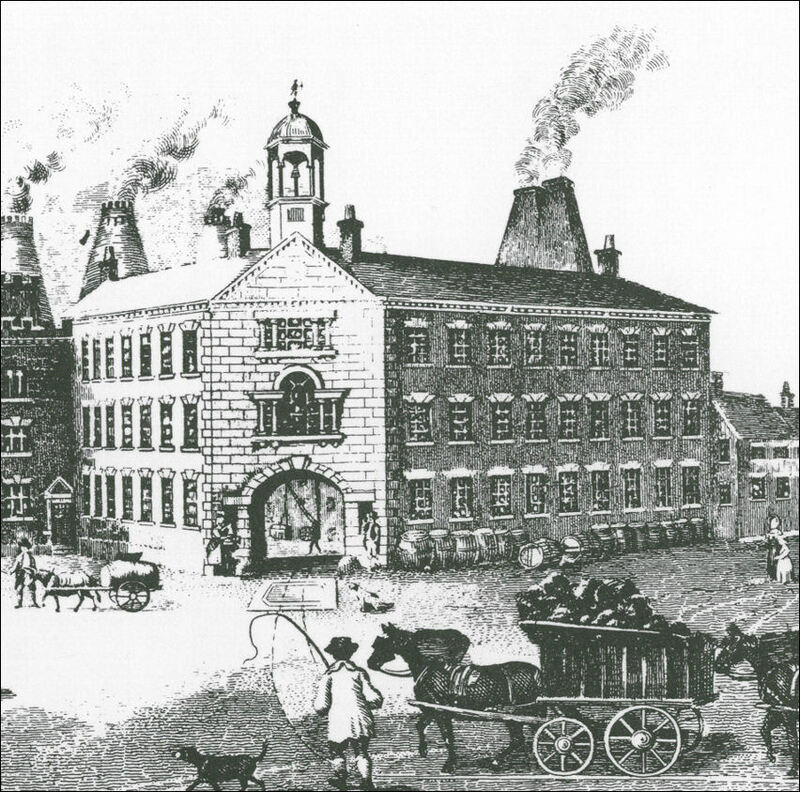 "Enoch Wood was a man of great stature in the industry having started business in 1783, and having erected most of his works by 1789, together with a windmill to draw water and prepare clay for the potter. 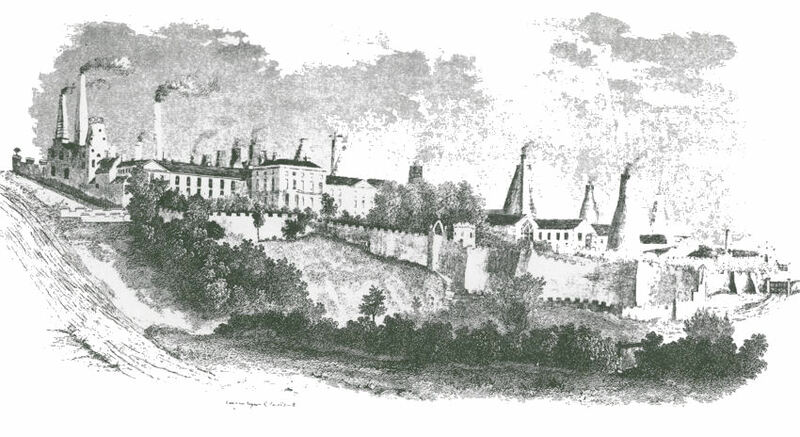 Mr. Wood erected a fountain, about 1798, which supplied water to the townspeople by means of an engine, at the manufactory, which pumped the water through pipes laid to a pillar containing the fountain near to the front of the works. 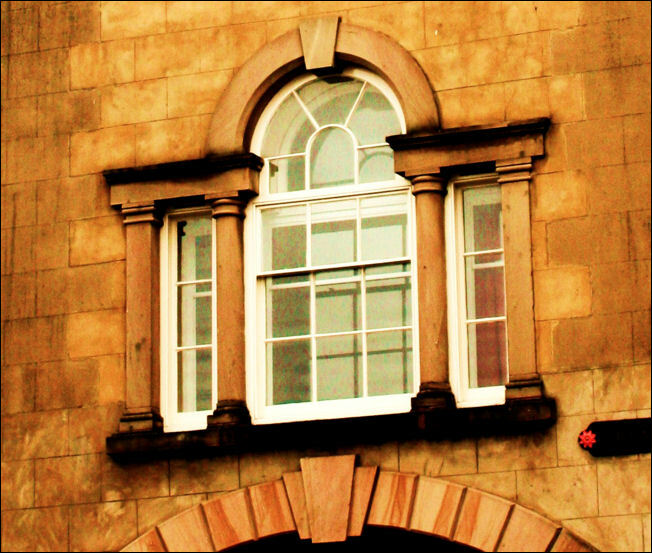 This was used freely by the public. To possess a piece of Enoch Wood ware, today, is indeed to own a treasure." The carts in the forefront of the picture were bringing coal from the firm's colliery at Bycars. 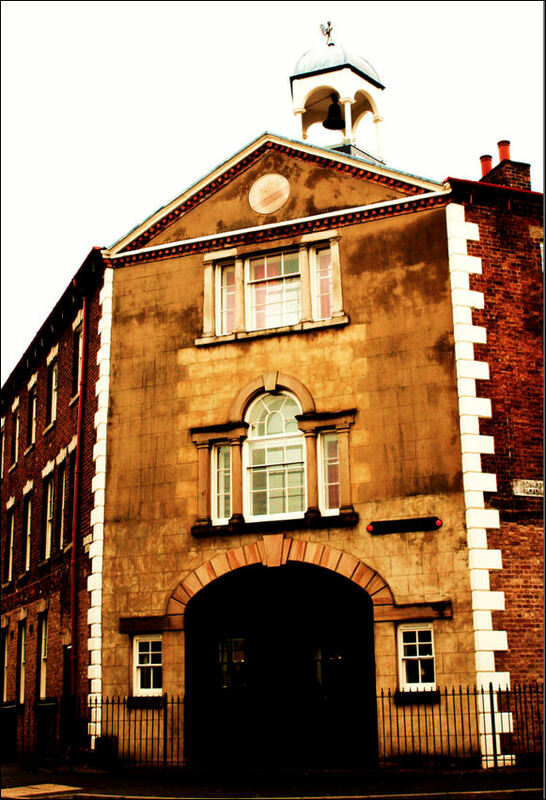 The picture shows the East front of Enoch Wood and Sons' manufactory at Burslem, at that time one of the most important works in the district. 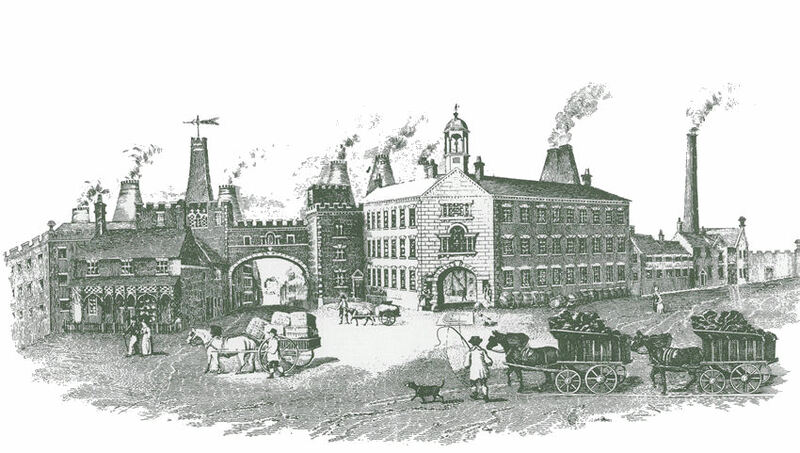 The picture is full of interest and is one of the illustrations taken from John Ward's History of the Borough of Stoke-upon-Trent. The house can be seen left of centre, with the walled garden spreading out down the hill. Pack Horse Lane ran down one side of the Wood works towards Longport. 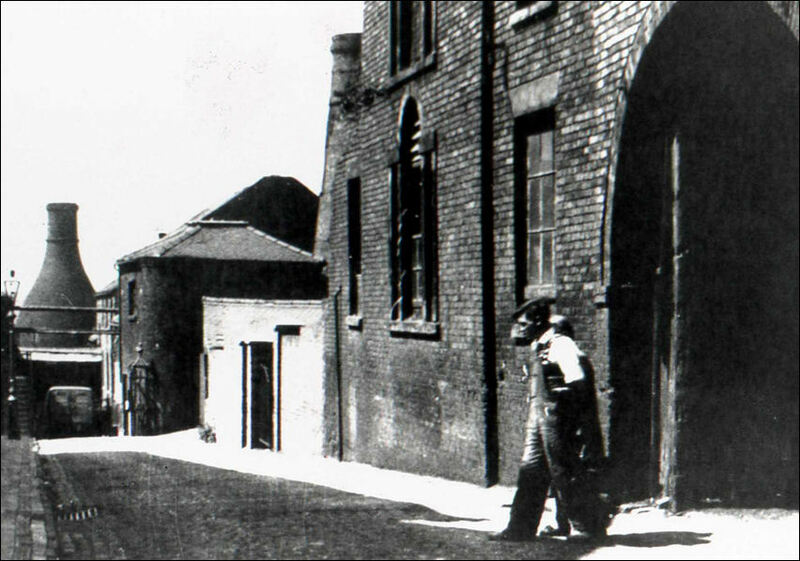 Another pack horse road (Liverpool Road) ran along the front of the works - from Burslem to Tunstall, known as The Sytch, now Westport Road, where at the far end it joins the main Tunstall to Newcastle Road. Here was a Toll Gate and Toll House.